PayPal has been one of the pioneers of the digital payments wave. It is one of the most preferred payment methods that players opt for at all the top UK online casinos. PayPal was founded in December 1998 and now has its corporate headquarters in San Jose, California. A look at the following numbers gives you an idea of its popularity. PayPal is very popular; almost every UK online and mobile casino supports it as a payment method. In that situation, choosing one casino to play at that not only uses PayPal but is also top-of-the-line can be very difficult. 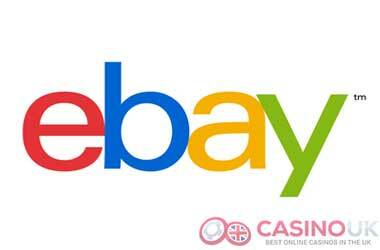 We are the leading repository of information related to PayPal casinos in the UK. Our experts have tested every UK online casino that accepts PayPal and listed the best of them all for you. We also provide reviews of these casinos to make it easier for you to pick one to play at. 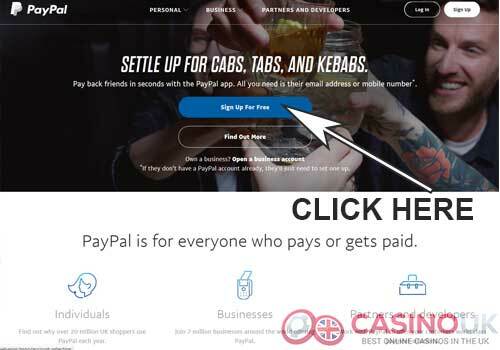 Why PayPal is Popular at UK Online Casinos? PayPal enables any consumer or business with an email address to cost-effectively, conveniently, and securely send and receive funds online. The PayPal network builds on the current financial infrastructure of credit cards and bank accounts to create a real-time, global payment solution, and delivers a product that is ideally suited for individuals, online merchants, small businesses, and others currently underserved by payment mechanisms. Throughout the years, the company has succeeded to become the world’s leading payment methods for services and goods online. The PayPal payment method and its free of hassle method towards purchasing, ease of funds withdrawal, and fast payments is one that is not foreign to the online gaming industry either. In this article, we look at the history of PayPal including its origins and how the company evolved into the world leading payment solution we all know today. We include information on how to register and verify a PayPal account, provide advantages when using PayPal, reveal the best online casinos accepting PayPal, and provide you with a step by step guide on how to deposit and withdraw funds using PayPal. We even include a few alternative payment methods that can be used in the same manner as PayPal. eWallet services such as PayPal have become immensely popular in recent years, due to the security and simplicity it offers when transferring funds. For this very reason, they are becoming very common methods of payment in the online gaming industry. PayPal is considered the most popular payment service in the United Kingdom, although it is not widely accepted as players can easily and quickly deposit and withdraw funds without the need to enter their card details or go through the annoyance of bank transfers. For players who are interested in using PayPal, I have included the top UK online casinos that accept the PayPal payment solution. 888 Casino (Review) : 888 Casino launched in 1997 and is considered one of the most reputable and well-established online casinos in the online gaming industry. The company boasts with its own platform developed in-house and proprietary software, but also partnered up with other software providers such as CasinoFlex and Random Logic to provide top-quality slots and other casino games. For those wishing to withdraw funds using PayPal will have to accept the 4 to 5 days waiting period and consider that the minimum withdrawal amount is £20. Bet365 Casino (Review) : Bet365 is labelled as the world’s favourite online sports betting site thanks to its famous TV adverts. However, the online casino section is rather popular too. The online casino offers a massive game selection from both Net Entertainment and Playtech along with generous bonus offers and promotions, matching the quality of the sports betting product. PayPal is one of numerous payment methods that can be used by players, and with a dedicated mobile app, and a live casino section, players can enjoy the casino that’s most convenient for them. William Hill Casino (Review) : One of the most respected and biggest gaming companies online, William Hill is a company that has a truly global reach. From producing a product for sportsbooks and real-world casinos across the globe to their own online products, the company does it all and does it extremely well. It’s no surprise that such a resourceful company is on the forefront when it comes to funding their site. That’s why it’s so quick and easy to make deposits and withdrawals when using PayPal on their site with a minimum deposit of only £10. Grosvenor Casino (Review) : Unlike other online casinos mentioned in this article, Grosvenor Casino managed to develop a fantastic reputation thanks to its land-based casinos. The casino claims to be the biggest brand in the United Kingdom, so it makes perfect sense that they also accept the most popular payment method on their website. Withdrawals can take up to 5 days to reach your PayPal account and offer a minimum withdrawal amount of only £5, far less than other competitors. The casino also boasts with an incredibly generous welcome offer to get things started. Betway Casino (Review) : Established in 2006, the British gambling company known as Betway has become a popular household name thanks to several sponsorship deals in recent years, including West Ham United. The casino is powered by Microgaming, providing a high-quality level to each of its players. Betway casino further boasts with one of the highest payout rates, and for those who are lucky enough to win, it provides numerous payment methods including PayPal with a minimum deposit amount of £10. You will also find a vast selection of bonuses and promotions as well as a fantastic loyalty program. Ladbrokes Casino (Review) : Ladbrokes is listed as one of the oldest and best-known bookmakers and developed a sensational casino offering. Players can decide between well over 500 different titles and enjoy a live casino setting as well as several tournaments. Withdrawing through PayPal only takes up to a maximum of two days with a minimum deposit amount of £10. They also offer an incredible welcome offer and ongoing promotions that will ensure every visit to the casino is a memorable one. Paddy Power Casino (Review) : This company needs no introduction with the reputation in holds in the online gaming industry, and although its online casino is not on the same level as its sports product, you will still be blown away by the choice of games and the high quality each of these games present. The minimum deposit through PayPal is a mere £5 and a mere £10 to successfully make a withdrawal. The processing times are unbelievable as payouts are made in a couple of hours. They also offer a generous dose of welcome offers, promotions, and rewards that are regularly updated. LeoVegas Casino : LeoVegas Casino is renowned for its mobile casino product, claiming several top industry awards over the last couple of years. The desktop version is just as impressive, adding a live casino section and a fantastic sportsbook section to their portfolio recently, making it a top choice for most UK players looking for an all-in-one gaming destination. There are tons of ways to enjoy yourself at this fine establishment and just as many ways to fund your casino account which includes PayPal. NetBet Casino : NetBet is one of the most varied and comprehensive sportsbooks online, once being crowned at the CEEGA as the ‘Best Overall Sports Operator.’ The award is a testament to the dedication it shows to the European market. Players are welcome to use PayPal as their deposit method with a minimum deposit of £10 and a maximum amount of £5,000 available at the casino. The minimum withdrawal amount through PayPal is £10 and will take up to 4 days to reflect the funds in your account. Coral : Since its inception in 1926, Coral has become one of the most renowned and well-respected bookmakers in the industry. It boasts an impressive sports betting site with a wide variety of markets, alongside slots, poker, bingo, and an immersive live casino section. Coral is a market leader in sports in-play betting, thanks to a slick mobile app. A minimum deposit of £10 is required when using PayPal, and withdrawals will be accepted when you wish to cash in more than £5. Withdrawal times take less than 24 hours to receive your winnings, and Coral also offers enticing promotional offers to keep your intrigued. To use PayPal to deposit funds into one of the top UK online casinos you are registered with, you must first have a PayPal account. Here is how you do it. Click on the Sign Up button on the home page to initiate the sign-up process. After the form is filled click the Submit button. Your PayPal account is now active. Here are a few more things you should know about when opening a PayPal account. During the registration process or even later, you can choose to add your credit card to your PayPal account. You also have the option of adding your bank account. 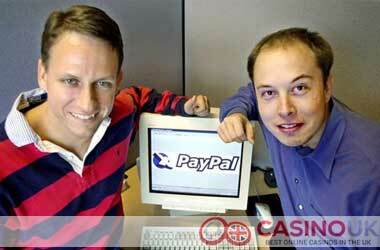 This is because one of these two is involved in all your transactions into and out of your PayPal account. Adding these details makes the transaction smooth and simple. Now that your PayPal account is active, you are ready to use it to deposit or withdraw funds at the UK online casino you are signed up with. You need to have funds in your PayPal account to make this happen. You can transfer funds into your PayPal account using either the bank account or credit card you registered earlier with your PayPal account. While there is no sign-up fee for opening a PayPal account, there are transaction fees for using it to fund your casino account or withdrawing funds from it. Credit card usage results in a higher fee compared to a bank account. You can talk to one of the following entities to know more about the fee for a particular transaction. Click on the Banker or Cashier tab on the casino’s home page. On the fresh screen that appears, click on the PayPal logo to select it as the payment method. You are taken to the PayPal website. Enter your username and password to access your account. Enter the amount you want to deposit into your casino account. Enter all the other required details on the page and click the Submit button. Your funds are deposited instantly into your account. If you want to use PayPal to withdraw funds from your casino account ensure that the casino allows this. The process is the same as it is for depositing funds, except that you go to the withdrawal section. The withdrawal process is longer because of the verification process involved. In December 1998, PayPal was established as Confinity, a company developing security software for palm pilots and mobile devices. The company was founded by Ken Howery, Luke Nosek, Peter Thiel, and Max Levchin. In 1999, PayPal was developed and later launched as a money transfer service within Confinity and was funded by John Malloy from BlueRun Ventures. Confinity merged with X.com in March 2000, an online banking company that was founded by Elon Musk. He was extremely optimistic about the future success and the development of the money transfer business at Confinity. Elon Musk and Bill Harris, the CEO and president of X.com at the time, disagreed on the merger with Confinity and this led to Bill Harris leaving the company during May 2000. In October 2000, Elon Musk decided to terminate X.com and other banking operations to focus on the future of the PayPal money service purely. In 2001, X.com was renamed to PayPal and managed to rapidly expand throughout the year until the executives of the company decided to introduce PayPal to the public in 2002. The initial public offering (IPO) for PayPal was listed under the PYPL ticker at around $13 a share which ended up generating well over $61 million. Soon after the initial public offering by PayPal, the company was acquired by eBay for $1.5 billion in July 2002, with an estimated share value of $23, or 77% above the initial public offering price. Over 70% accepted PayPal payments in eBay auctions, and roughly 1 in 4 of closed auction listings were PayPal transactions. PayPal became the default choice and was used by the majority of eBay users in a short space of time. The PayPal service competed with Billpoint, another subsidiary of eBay, as well as Western Union’s BidPay service, Google Checkout, Yahoo’s Paydirect, and Citibank’s c2it, all of which closing in subsequent years. In 2005, the VeriSign payment solution was acquired by PayPal to provide added security support and expand its e-commerce business. In 2007, a partnership with Mastercard was announced by PayPal, leading to the development and launch of PayPal’s Secure Card services, a software allowing customers to make website payments that did not directly accept PayPal. This was accomplished by generating a unique Mastercard number for single-use in every checkout. The company managed to generate over $1.8 billion in revenue by the end of 2007. Fraud Sciences, a privately held company with online risk tools expertise, was acquired by PayPal in January 2008 for $169 million to enhance the company’s fraud management systems. Bill Me Later is an online payments company that provides transactional credit for more than 9000 online merchants in the United States and was also acquired by PayPal in November 2008. The revenues for PayPal in quarter 1 of 2009 were $643 million, an increase of 11% year over year and 42% of these revenues in the first quarter were from international markets. Furthermore, the total value of transactions in the first quarter of 2009 was close to $16 billion, an increase of 10% year over year. In 2010, the company had more than 100 million active user accounts through 25 different currencies in 190 markets. In 2011, 14 alleged members of the famous Anonymous hacktivist group were charged with an attempt to disrupt the operations of PayPal. The attacks took place during December 2010, after the company stopped processing Wikileaks donations. In December 2013, 13 of the 14 alleged members pleaded guilty to felony charges and misdemeanour relating to the attacks. PayPal continued to focus on growing its Merchant Services division and on international growth by providing electronic payments to retailers on eBay. PayPal announced that it would start moving the business offline in 2011 so customers can make payments in stores via PayPal. A partnership with Discovery Card was announced by the company in August 2012, allowing payments to be made via PayPal at any of the seven million stores under the Discovery Card umbrella. PayPal’s total payment volume by the end of 2012 was $145 billion, accounting for 40% of eBay revenue that accounted for $1.3 billion in the third quarter of 2012. In 2013, IronPearl, a company providing engagement software, and a Chicago-based payment gateway known as Braintree, was acquired by PayPal to further mobile services and product development. The PayPal president, David Marcus, announced in June 2014 that he was leaving his role and was succeeded by Dan Schulman, previously serving as Executive Vice President for American Express and CEO of Virgin Mobile. In September 2014, it was announced that eBay would switch PayPal into a separately traded company. This move was demanded by Carl Icahn, an activist hedge fund magnate, in 2013. In July 2015, the spin-off was completed with Dan Schulman being the current CEO and President along with John Donahoe, former eBay CEO, serving as chairman. PayPal announced that it would acquire the Xoom Corporation, a digital money transfer company, in July 2015. PayPal spent $25 a share, or around $1.09 billion to acquire the publicly traded Xoom. The deal was successfully closed at the end of 2015, strengthening PayPal’s international business by gaining access to the 1.3 million of Xoom’s active United States customers, sending $7 billion in 12 months to people in over 37 different countries. The company launched their peer-to-peer payment platform, known as PayPal.Me, in September 2015. This service allowed users to send a custom link requesting funds through texting, emailing, and other messaging platforms. The PyPal.Me service was launched in 18 countries including Switzerland, Austria, Netherlands, Denmark, Norway, Belgium, Sweden, Poland, Spain, Italy, France, Turkey, Russia, Canada, Australia, Germany, United Kingdom, and the United States. PayPal currently has 197 million users and the primary focus of PayPal.Me is to create a mobile-first user experience enabling faster payment sharing than the traditional tools at PayPal. It was announced that PayPal joined the Fortune 500 group for the first time in June 2016. When working online, you will require a platform to send and receive funds. Normally, you can use your debit card or credit card to make online payments, but to receive payment, you will need a payment solution such as PayPal. PayPal is considered one of the oldest and most trusted online services to send and receive money online. Registering with PayPal is extremely easy, and once you are registered, you can start making payments right away, after linking your account with your credit or debit card. However, to receive payment, you are required to link your PayPal account with your bank account. This will eliminate the withdrawal limit on your PayPal account, and you can withdraw funds from your PayPal account directly into your personal bank account. Firstly, you will need to make your way to the PayPal.com website and click on the ‘Sign Up’ button to start creating your account. The following page will give you the option to register a business account or a personal account. I would recommend starting with a personal account, as you will always be able to make the switch to a business account instantly in the future. On the next page, you will need to fill out a form that will ask you for your country of residence, your email address, and your password for your account. Once completed, you will be taken to another page that will require your first and last name, your date of birth, your nationality, and your passport number or ID number. You will also need to provide your home address, city, region, and postal code, followed by your home or mobile number. This process can take up to 3 days, so it would be more beneficial to complete this step when registering with PayPal. On the homepage, you simply need to select the ‘Add a Bank Account or Card’ option that will take you to a page where you can link your bank account with your PayPal account. You simply need to confirm if it’s a savings or checking account and include your account number and routing number. For those of you who have never used PayPal might wonder why people utilise it as their only source for online purchasing. I have included the following advantages when using PayPal to purchase online, and this will likely make you start using the service yourself. When registering with PayPal, you will be required to enter your bank account details and credit or debit card information to purchase one time on their secure system. Once this is accomplished, you will never again need to disclose your bank account details or card information online. By purchasing or withdrawing with PayPal, you will keep your financial information private, and this means you can shop online or purchase casino credits without having to worry about hackers obtaining your financial data. You can relieve yourself of the hassle and embarrassment of attempting to purchase goods or casino credits online only to have your debit or credit card declined. PayPal makes it possible to set up multiple debit cards, bank accounts, and credit cards to fund your account and therefore you can rest assured that your purchases through PayPal will always go through the first time. The PayPal system will automatically look for the required funds from the sources you defined on your PayPal account. Whenever you want to send funds to a friend in trouble, college, or child around the world, you can instantly transfer money to your PayPal account with a simple click of a button. This will, in turn, save your money and time, as opposed to costly Western Union type transfers while sending money to wherever you wish to send it much faster than ever before. The PayPal iPhone app makes life a little easier when shopping online and transferring funds to your casino account wherever you might be. You simply need to visit the Apple iTunes store and download the app directly onto your mobile device. Once downloaded, you are ready to send money, transfer money, review your transaction history, pay bills, and make deposits from the palm of your hand. With every transaction, PayPal will require you to enter your PIN, ensuring your financial information is safe should your phone be stolen. It’s impossible to talk about PayPal without the mention of eBay, as PayPal is integrated with this online auction powerhouse where you can make purchases safely and place bids in a matter of seconds. A structured complaint resolution process and buyer protection means that bidders on eBay have increased protection than those using credit and debit card when shopping online on eBay. One of the most important reasons people use PayPal is because it’s free. There are no service charges, no processing fees, and no annual membership fees. PayPal users get all the advantages associated with the payment solution without having to pay a dime. PayPal offers exclusive discounts for customers shopping with PayPal at several selected retailers. Once you have an account with PayPal, you simply need to visit shopping.paypal.com, and you will be able to find the latest offers from sponsor companies such as Nike, Wal-Mart, Barnes & Noble, HP, and more. PayPal allows you to save money on the items you need from the places where you love to shop. You simply need to copy the promo code you will receive on the shopping website at PayPal and enter it before checking out on the items you wish to buy. Once you have a registered PayPal account and added funds to your account via a bank transfer or through your debit or credit card, you can select one of the PayPal casinos I’ve listed above. Each of the online casinos on the list has been reviewed and ranked in relation to bonuses, game variety, deposit as well as withdrawal methods. Once registered with one of the trusted online casinos, you can make your way to the banking section and select PayPal as your chosen payment method. Thereafter, you can simply enter how much you want to deposit, enter your email email address and password for PayPal to successfully transfer the funds into your casino account. To make a withdrawal request via PayPal is just as simple. Once you are satisfied with your current bankroll and wish to withdraw your winnings, simply make your way to the banking section, click on the withdrawal page, and select PayPal from the list of payment methods. You will then need to enter the amount to withdraw and click on continue. That’s it, now you just need to wait a maximum of 4 days, depending on the online casino you are playing with, and the funds will reflect in your account. Should you wish to have a look at other world leading payment methods that are available in the United Kingdom and also accepted by the list of online casinos mentioned in this article, you will be pleased to know that there are several trusted payment methods available online including Debit Cards, Neteller, Skrill, Visa and Master cards. When it comes to funding your online casino account or making online purchases, one payment supplier dominates the online payment field, and that is PayPal. PayPal is not the only online payment method provider since several other alternative payment options are available. PayPal is dominant for several reasons, which includes spending millions to enhance its brand and while it’s been around the longest and provides all the standard functions, users expect from a good payment provider there are several reasons why users might want to look at other alternatives such as debit cards or credit cards. Several online users do not have access to PayPal, and with the payment provider being notorious for blocking accounts you could be stranded without access to your online funds should they block your account, for this reason, an alternative payment option is essential. PayPal is the perfect solution for smaller amounts, as the fees on larger transactions can be high and ultimately that is reason enough to look at other alternatives. Online users looking to obtain a new credit card have two attractive options to choose from, both Visa and MasterCard are amongst the most used cards for online purchasing or funding online casino accounts. The two primary cards institutions issue are supplied by banks as MasterCard and Visa are payment-processing networks that make payments between banks and merchants hassle-free and completely secure. There are fewer differences between the two credit card service providers than users think since both payment networks offer added benefits such as payment protection, fraud security, and car rental or travel insurance. Deciding between the two comes down to the banks issuing the credit cards, and the rewards offered such as multiple tiers of benefits including emergency assistance, unauthorized purchase coverage, urgent card replacement and 24/7 assistance to cardholders. Once online users have selected the card that best caters for their needs they can apply for the card via the issuing bank, Both Visa and MasterCard are accepted at over twenty million merchants across well over 150 countries. It is quite rare that any location where one of the credit cards are accepted that the other is not and both can be used anywhere in the UK as well as online. Both MasterCard and Visa offer online card transaction protection, and SecureCode scheme protects online customers using MasterCard from card fraud, while Verified by Visa scheme protects Visa users. Visa and MasterCard allow users to set up passwords used along with credit card details to complete transactions such as depositing funds into online casino accounts or shopping online. Online users that have permanent UK residency have several MasterCard options, and Sainsbury’s Bank offers balance transfers of 0% for 28 months, 0% purchased for three months and a representative APR of 18.9%. Visa card options include Barclaycard Platinum with 0% balance transfers for 24 months, 0% on purchases for six months and a representative APR of 18.9%.